Learning to fly a quadcopter can be pretty intimidating. There are so many choices that it can be overwhelming figuring out where to even start and what you need to learn. While it may be tempting to go out and purchase the latest and greatest from DJI or a fully kitted out racer, cutting your teeth with a micro quad will make the learning period significantly cheaper. Part of learning the ropes will involve lots of crashes, lots of broken props, and likely a few dents and dings to your quad. Destroying a micro quad, and in turn learning the basics, is a much easier pill to swallow than demolishing a DJI Mavic on your first flight. Best of all, when you graduate to the next level, the controls are more or less the same! The goal of this guide is to provide a handy reference to use when preparing to go to the field, locations to think about practicing at, as well as exercises that you can use at the field to get you comfortable flying as quickly as possible. To make things more approachable, I have split this guide into three separate parts (links and such are below). First things first, if you haven’t already, go check out our guide to budget micro quads (click here). 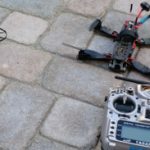 This entire guide is structured around the assumption that you are starting out using a micro quad. 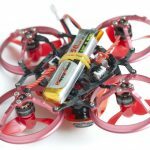 We personally recommend the Eachine E010 for its cost and moddability, but if you are flying outside in windier conditions, you may want a more powerful quadcopter. Alright, you have read through two of my overly detailed posts on preparing to fly. It’s time to get in the air. “What? More stuff I have to do before flying? I thought you said we were ready to fly?” I know, I know I’m sorry. I promise this won’t take long and doing a preflight check is a good habit to get into for when you move from your micro quadcopter to your DJI Mavic or FPV racer. Treat the props as if they can do damage. Sure the little Hubsan or E010 ducted props probably don’t hurt that much, and if you pick it up and carry it by covering the props with your palm and fingers it’s probably not a big deal. But if you do that now, it will be harder to break that habit when you move to a drone that could cause some real damage to your appendages. Keep your hands clear of the props when you have a battery connected. Turn the transmitter on first. Again, this is especially important when moving to the next tier of quads. Get into the habit now of turning on the transmitter then plugging the battery into the quad. Similarly, ensure that the transmitter has the throttle (left stick) completely down so that the props do not start spinning when you plug the battery in. Check the props and arms before flight. See stress marks on the props? Change em out. Chipped and broken props? Yep, replace them. The Hubsan has arms that are meant to pop out slightly during a crash to prevent full breakage. If any arms are loose, pop them back into place. Hover slightly over the ground. Is the quad being responsive? If it is spinning uncontrollably or pitching to one side, you need to do some troubleshooting. Before taking off, scan your environment. Make sure it is safe to fly. So assumptions for this – I am assuming you are using mode 2. This is the default mode for most simulators, video recording quads, and FPV racers. I personally recommend mode 2 since it seems more standard (in the US at least). If you are flying mode 1, check out the manual of your quadcopter for more information. Left Stick Up and down Throttle up and throttle down. Will give you altitude (height) and be your speed control. Left stick Right and left Rudder / yaw right and left. Will rotate the quadcopter right and left (think a turning motion). Right stick Up and down Elevator / pitch forward and back. This will move your quadcopter in a forwards or backwards motion. Right stick Right and left Aileron / roll right and left. 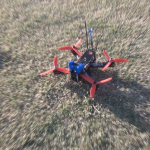 This will move your quadcopter sideways right and left. If you experience odd rotation, or see your quadcopter floating in a direction it shouldn’t be, try adjusting the trim. There are four trim commands on the Hubsan. Detailed instructions on adjusting the trim can be found in the manual. Start simple with the quad in front of you. Slowly throttle up with the left stick and aim to maintain altitude. Get three feet or so off the ground and practice going in one direction at a time by pressing the right stick right and left to move sideways right and left. Next, use the right stick up and down to move forward and backwards. Do these basic exercises while maintaining the same altitude (i.e. don’t let up on the throttle). Start off slow before really juicing it. Ease the throttle up and take turns slow to begin with. Really start to develop a feel for the controls. Starting out, you really want to maintain as much control as possible before letting loose and crashing into everything. This is another good habit to get into as you continue your journey into learning about quadcopters. When you crash, kill the throttle (move the left stick to the fully down position) to stop the propellers from spinning. This will save you countless propellers and help prevent damage to your quadcopter. On a full fledged quad or Tiny Whoop style FPV enabled micro, you would also want to hit your disarm switch. Practice piloting the quadcopter facing the same direction that you are. This means that if you press right on the right stick, the quadcopter will go right. It is much easier to start learning this way versus having the quadcopter facing you. When the quadcopter is facing you, all of the controls will be reversed. That said, as you become comfortable flying one way, be sure to mix it up. Once you get the hang of flying your quadcopter away from you, try doing loops back towards yourself to get comfortable flying ‘backwards’. You are going to crash a lot. It can be easy to get discouraged crashing over and over again, but stick with it! Like any skill, learning to fly these quadcopters takes a ton of practice. You will crash and you will break props, but at the same time, you will also learn. Look at each crash as a learning experience, not something to get upset over. Now that you have the basics down, we created some exercises that should quickly train you to become a better pilot. To do these, you will need five cones (or some other type of marking you can reference) to setup a course for your quadcopter. The idea here will be to fly over each one in a certain order. Setup the distances as you see fit, or as the area you are flying at allows. The general idea here is that we will setup courses flying between these five points to test different abilities. You can also use the above diagram to chart out your own courses! Need cones? Check out these bad boys on Amazon (they are what I use). Don’t have cones or some sort of marker? Remember that you can use a baseball diamond to similar effect as explained in part 2 of this series. Similarly, you can use any marker, flag, or item as a reference. In fact, the cones are numbered to correspond to a baseball diamond if you have one available for use as a practice location (pilot would be positioned at home base). Using this guide: follow the cone paths in the order of the roman numerals. If cone four is labeled I, cone two is labeled II and cone three is labeled III, you would fly from four to two to three. Some cones may have multiple labels if you fly through them more than once. Pay attention to how the quadcopter should be positioned in each exercise. The easier exercises position the quadcopter always facing the same direction as the pilot (not flying towards yourself) while the harder exercises position the quadcopter always facing the next target cone. Remember the exercise we just did above to get you off the ground, let’s do that here as a warm up using the cones. Starting from cone 4, fly to cone 2, and then back to cone 4. Try to maintain a straight line. The goal here is to use the right stick as much as possible and move back and forth keeping the quadcopter always facing the same direction – away from the pilot. 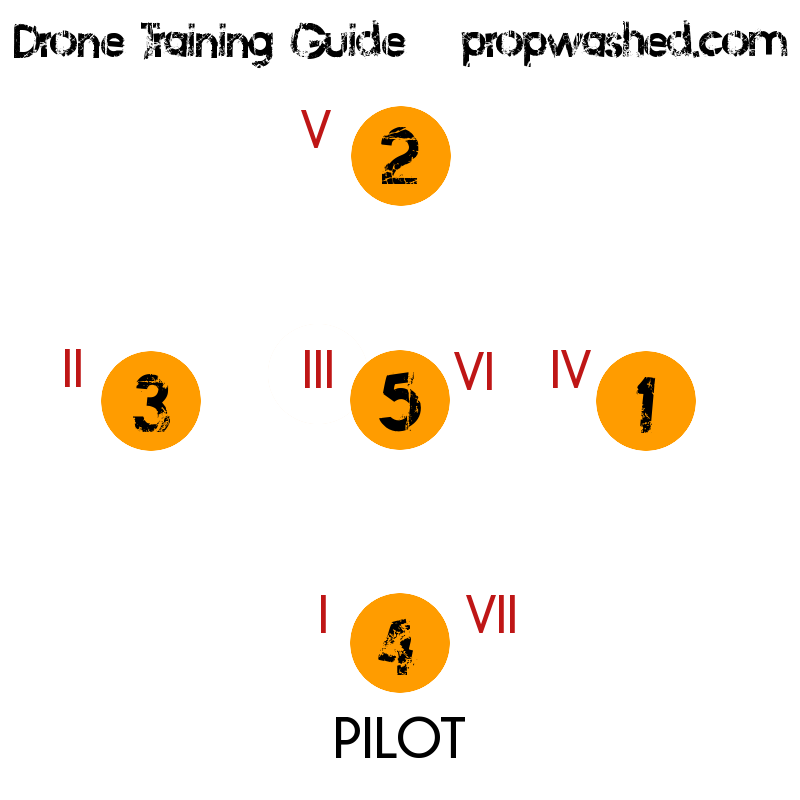 Next, starting from cone 4, fly to cone 5, and then fly back and forth between cone 3 and cone 1. For all exercise 1 practice, the quadcopter should always be facing the same direction as the pilot. This combines the first exercises to get you comfortable using the pitch and roll controls – basically getting really comfortable with the right stick controls. Focus on using the right stick to move around this course while maintaining altitude with the throttle (left stick up and down). The goal here is to move from cone 4 to the middle of the course at cone 5. From cone 5, go to each of the other cones starting with cone 3 and then come back to cone 5. Repeat until you are able to do this smoothly and accurately. For exercise 2 practice, the quadcopter should always be facing the same direction as the pilot. Comfortable? Time to make things a bit more difficult. This time we are going to do a similar maneuver to our warm up exercise, except perform a 180 degree turn at cone 2 and come back to cone 4. This will force you to now have the quadcopter facing you, which will make your roll and yaw controls backwards. Practice making turns around cone 4 and cone 2 while keeping the quad as straight as possible. For exercise 3 practice, the quadcopter should always be facing the next target cone. Time to circle the cones! This time we are going to go around the diamond and use the left stick to rotate around each cone. Position yourself and the quadcopter at cone 4 and head towards cone 1. At cone 1, rotate 90 degrees using the left stick to turn towards cone 2. Continue along this path using the left stick to turn (yaw), and the right stick (roll) to correct any drift on the path. For exercise 4 practice, the quadcopter should always be facing the next target cone. Similar to exercise 2, this exercise uses all the cones. Fly a figure 8 around the cones using cone five as your mid point. This will allow you to practice preparing for a turn, turning precisely, and maintaining speed. Starting from cone 4, fly to cone 3, turn and pass over cone 5 on the way to cone 1. Then, turn and fly towards cone 2. Turn again and pass over cone 5 on the way to cone 4. Repeat until you are able to do this smoothly and accurately. For exercise 5 practice, the quadcopter should always be facing the next target cone. These exercises can also be done with friends to setup easy to reference race courses! We went out and filmed the exercises to better show you the routes and clarify any questions here. Check it out below, as well as our write up on filming this video! With the rise in popularity of FPV enabled micro quadcopters (Tiny Whoop, brushless micros, modded E010s, etc. ), you may feel like jumping right into flying FPV. We highly recommend learning to fly line of sight first before attempting to fly FPV. This will instill good fundamentals, and allow you to control the quad in the case of loss of video signal, or any other camera related issue. Follow the basics in the guide above, and then move to FPV. I don’t think you need to master line of sight flying anymore, but having a good foundation is highly recommended. When you are ready to fly FPV using your micro drone (or full fledged mini quad), start slow. Just like hitting the throttle for the first time in line of sight, the change in perspective will likely be confusing at first. I highly recommend starting with 0 degree camera tilt (no tilt) when starting out, and increasing from there. This will help ease you into increasing your speed while maintaining control. We dive deeper into theory in the below articles, but the single best recommendation we have for learning to fly FPV is focusing on following a single object. Find a tree and practice flying around it while always keeping it in view. This will help you maintain control, allow you to fly across multiples axes, and develop your camera work. Once you feel comfortable moving towards acro, this is a great way to prevent yourself from ‘tipping’ too far. 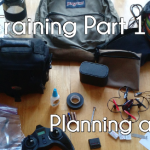 Beginner tips for becoming a better quadcopter pilot: covers learning progression, flying tips, and recommendations. Getting into rate mode: covers moving towards learning how to fly rate/acro – the real step into getting into FPV racing. Moving from intermediate to advanced flying: More in-depth flying and upgrade theory. Covers how to pull off the fancier tricks, rolls, and dives you see in your favorite videos. Part 3 – Finally getting off the ground and learning the skills necessary for flying. Ready to continue your learning? Well, go check out our Drone Racing Guide! The articles here can help structure your learning as you move towards purchasing a real racing quad! Thanks for reading! If you found this series interesting, be sure to share it with your friends! New video: Quick tips to improve your flying skills!